Work began on the $1 billion-plus Campus Master Plan in 2008, with the design process getting underway in mid-2009 with the Ross Milbourne Sports Hall. Since then, students, staff and visitors have seen the Campus Master Plan become reality as projects have been progressively completed and opened including the new Faculty of Engineering and IT Building, Science and Graduate School of Health Building and Dr Chau Chak Wing Building, among other facilities. 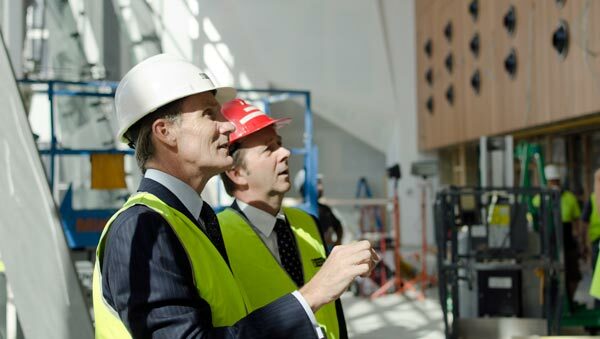 Other projects are now well advanced, including the transformation of Building 2, part of UTS Central. The Master Plan is being delivered by the university's Program Management Office (PMO). The planning, design and delivery of the Campus Master Plan has been a major undertaking, delivered in accordance with UTS processes, procedures and guidelines, and guided by the university's Long Term Finance Plan. UTS has undertaken extensive consultation throughout this process, both internally with end-users of the new facilities, and externally with our neighbours, the local community and precinct partners. The same rigor is now being applied to the design and planning of current projects. © Copyright UTS - CRICOS Provider No: 00099F - 06 March 2018 04:06 PM. The page is authorised by Director, Marketing and Communication Unit.